As the Holiday Season is approaching, more and more of us are all of a sudden realizing that we need to finish (or start) shopping for our loved ones. So, today, I’ll be sharing with you a Holiday Gift Guide that can greatly help you buy those presents. Some of the links in this post are affiliate links, which means that if you buy the item using the link, you’ll allow me to earn a small commission for the same price that you would pay by going to that site directly. That would be a wonderful way of saying Merry Christmas to me, without it costing you a dime. So THANK YOU in advance for your support! 🙂 (Even if you dislike all of my ideas, or you want to buy a few or all of your gifts on Amazon, since I am an Amazon affiliate, feel free to use this link to do all of your Holiday shopping and purchases year-round… and you’ll be supporting this blog in the process). 1) Giving gifts is a love language. Meaning, that for some people, it’s their way of expressing love and feeling loved. And as you know, anytime someone gifts you anything you can feel that appreciation with which they gave you that gift regardless of wether or not you “LOVED” the gift. 2) Giving gifts is not what the Holiday Season is about. But it’s nice to give and receive them. 3) The price of the item that you decide to give someone is toooootally NOT what it’s about. For example, a brand new car isn’t received in the same exact way by someone who has 10 luxury cars already as by someone who has been in need of a car for years. As you’re going through the list remember that THE BEST things in life… really, THE BEST things…. the ones that we’ll take with us after we leave the planet are FREE! And while going to the store and buying “FREE” gifts is not always possible (unless you coupon, of course), make sure that THE GREATEST ingredient, tag or “unspoken hashtag” in any of the gifts you give is LOVE. That means if a gift costs you $1.00 make sure that you give it with love. If a gift costs you $1 million dollars, that it’s also infused with love. The gift, regardless of how expensive or inexpensive it is, does NOT convey all the love that it can unless you do. While there are a few “luxury” items on this list….most of the items are really affordable. But come to think of it, ALL of the items are “extras” or “luxuries” because we don’t usually need them, although we could appreciate them if we got them. My goal for selecting most of the items was to put your money to good use. Meaning, I wanted to include things, experiences and adventures that would allow the person receiving your gift to use it waaaay past December 24th or December 25th (or the date that celebrate your holiday and open your gifts on) to the point that it either is something that they could use daily, very often, or becomes a treasured experience of a lifetime. Lastly, as you’ll notice, many of the item will allow you to either honor or spend time with your loved ones. After all, spending more quality time with our loved ones is something that we really doooo need but many of us hardly ever get because we don’t ask for it enough. These gifts would be ideal for teenagers on up. You know that show called Shark Tank? Groovebook is one of their all-time best products. So much so that Shutterfly welcomed Groovebook into its family. As I was watching the show, my jaw dropped when I heard that you could subscribe to get a book of 100 photo prints each month for $2.99 + tax (which comes to $3.19). Isn’t that amazing!? The prints will come in a 4.5 x 6.5 book. The best thing is, you can gift subscriptions and your loved ones will have 3, 6 or 12 months worth of selecting their favorite photos and doing with them as they please. Talk about focusing on the moments they treasure, right? And don’t forget to share MONTEMAYOR36 with them so that their subscrption is extended by one extra month! Also know that once you have a subscription you can order multiple prints, multiple books, and even have a copy of your book delivered to someone across the country for their enjoyment. If you know anybody who’s a scrapbooker or someone who might enjoy the Project Life products I’ll share with you below, then they’re in for a treeeeeeat!! Evernote is a gamechanger. Especially for the people in your life who love Post-It Notes (not that there’s anything wrong with the notes or with those people, of course, although there are people who would think otherwise), notepads, to-do lists and are known to have been surrounded by a cloud of paper at some point in their life. Like me. Evernote allows you to store notes that you want to make sure that you can find later on the cloud. And it does away with the “I’ll type an email to myself” BS mentality that seems honorable at the moment, but that further encourages people from having a designated place truly designated for their online notes. It helps people move forward on their dreams and projects, however big or small that they are. It’s a resource your loved ones will use every day, serveral times a day on multiple devices. To-do lists? Check. List of awesome websites they want to keep track of. Check. Photos? Check. Audio notes? Check. Travel Itineraries? Check. Notebooks? Check. And that’s just tip of the iceberg. I’m pretty sure that you’ll be able to see them become calmer, clearer and happier once they get rid of their mental constipation. It’ll be a huge relief. Trust me. I recommend the Premium account. It’s only $49.99 per year because it has added features that improve the functionality of the service like offline notebooks that you can access without internet connectivity, bigger file attachment, priority customer service and my favorite, a mega-size “vault” that you can store your files on. It really is freedom-giving because even though I have lots of files that I keep on there, I’ve NEVER run out of space with the premium version. Sign in to your online version by clicking on this link. Click on the letter on the lower-left hand corner. Under Account Summary find the heading called Gift to a Friend and click on the link that says “Give a friend one year of Evernote Premium” where you can add who it’s from, who it’s for and your personal message. I recommend that you print out a little card that says what they’ll be receiving and you wrap it up so they know right under the tree that you were generous enough to gift them this….especially because people get busy during the holidays and they’re not always checking their email. In a nutshell, think of Evernote as a giant digital notebook where you can think all the things you treasure…. and FINALLY have the peace of mind that you can find it when you need it by using the powerful Search feature, notebooks and hashtags which will help you categorize things in a way that’s more easily retrievable. Oh, and if you have a “true nerd” in your family, Evernote sells other awesome things like Moleskine journals, scanners to go as paperless as possible, bags, unconventional pens and desktop accessories that are perfect for the people who truly value organization, or who plain and simply need it… BIG Time. Who doesn’t need more storage? This 9-cube organizer is perfect for the home, the craft room, the office, the toy room and the tween and teenager’s room. It’s show in black above, but you can find it in a variety of colors. Most people are so in need of storage that they’ll need at least 2 of these (I know I do)… but one will do for now. These will help the recipient feel more organized as we’re about to start a new year. If there is one book that can help you truly convey love to the people in your life in the way that they can most feel understood and loved it’s this book. Do you know that person in your life who doesn’t like to read, but who (between you and I) should be reading much more than they are? Yeah, that one! Well, amazingly, there’s an abridged version of The Heart of The Five Love Languages that is perfect for them. It’s an 80-page condensed, so they’ll get the gist of the information in this gift-sized edition. If on the other hand, you know of someone who loves to read and would be mesmerized by this book, then get them the full edition of the book The Five Love Languages: The Secret to Love That Lasts. It’s 208 pages of goodness. It’s a life-changing book that will forever alter the way you look at love for the better. If there was one novel that I had to recommend to someone… it would be The Alchemist. I was late in the game to reading it, but it’s a life-changing book as well. It’s one of the most relatable books I think we can ever read and it truly does hold a treasure of a message for those people who read it. I can’t recommend it highly enough. You know what? This book should be number one on your bucket list. It’s THAT good. I’m not even kidding. It has sold more copies than all the Harry Potter novels except one. AND it is one of the best-selling books in history, selling more than 65 million copies in 56 different languages. So Paulo Coelho is a Guiness World Record holder for the most translated book by a living author. I know that all of this explanation was truly not necessary since this book doesn’t need it…but I just want to convey that it’s not just me who highly believes this book is worth it. One of the most pivotal books that I read this year was The Lifechanging Magic of Tidying Up by Marie Kondo. As you know having clutter affects us more than we know, and this book is by far the method that has allowed me to get rid of stuff that I accumulated for years that wasn’t serving me anymore. It allowed me to have more space, more peace, more creativity and more abundance. Those are great things to give someone and they’ll feel better knowing that they achieved it through their own efforts. Very versatile gift that will be a hit with practically everybody. This is such a neat subscription because you can “sync” all of your songs so that you can access them anywhere without having to worry about the storage space on your devices. Amazingly, no matter where you got your music from, you’ll have the ability to play the high quality tracks for your songs even if your copy is of lower quality. You can find out more information by visiting this link. All of this for $24.99 for a full year. Whether it be in the home office, the bedroom or the nursery, everybody can benefit from having a comfortable chair that will allow them to focus on on that which they have to focus on. Who likes to worry about their phone battery dying? Nobody, right? Then everybody should have a backup. The one I’ve used is the Mophie juice pack. You won’t believe it, but I’ve confirmed that it can hold the charge for AT LEAST 6 months (granted that you don’t need the juice). Pretty incredible! My best advice is that if you’re going to get a pack, that you are sure of the model that the person who you’re giving the Mophie to has (and that they won’t be upgrading this Holiday Season) because you do have to take the model into account when you make your Mophie purchase. Another versatile option for people with Androids is the Skiva Power Vault which is able to provide power to multiple devices. One of the best things you can give someone is something to backup your treasures. I don’t know about you, but sometimes, I’ve stayed awake at night thinking about what would happen if my computer failed and I lost my files (again… yep it already happened once and it was not pretty. I lost a novel that I was working on. I also have had the experience of paying “professionals” for backing up my computer only to find out that the external hard drive that they backed up to no longer works. Knowing that files like these could be in danger of limbo is enough to take my sleep away). So recently, I bought a Seagate Backup Plus Slim and I can’t tell you what peace of mind I’ve gained. And I think it’s one of the best things you can give people ESPECIALLY to be able to save their once-in-a-lifetime photos. You can buy versions for Mac or PC, choose from different colors and buy the size you need. Well, I recently discovered this system for scrapbooking in the simplest, fastest, most hassle-free way possible. And it’s a God-sent because I don’t you are someone who like me, has many scrapbooking products, and is super ashamed to admit that she’s never completed one traditional scrapbook page. ONE! All you have to do is add these three Project Life items to your photo collection and KABOOM! You’ll have everything you need to scrapbook in no time. And the designs shown above are just examples, there’s a multitude of products to choose from. It’s a system that has allowed people who are 10, 20 or 30 years behind in their scrapbooking to scrapbook faster than they every have before. How’s that for a community? How’s that for a tribe of people who understand your frustrations and are making great progress together? So as you could see from the video, photographs are an important part of our life…. and men as well as women want to honor their journey…and it doesn’t matter if they’re 6 or 16. One of the best ways that Project Life honors someone’s life is through their My Story Collection, that will allow you to invite someone to record their life with the following three Life Project items for about $36.76. Instead of filling out 12×12 sheets, they’ll be filling out 6×8 sheets making the task even more manageable. That’s a real treasure in the making. (These are just a couple of the beautiful designs). 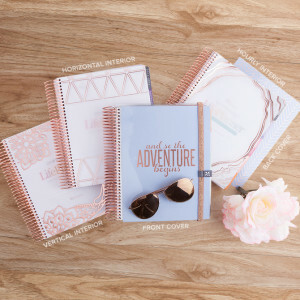 You’ll find regular, gold-foiled and puffy stickers, notepads, pre-punched paper, sticky-note dashboards, home planners, pocket folders, interchangeable covers and even larger rings to keep what you most love in your planner together. 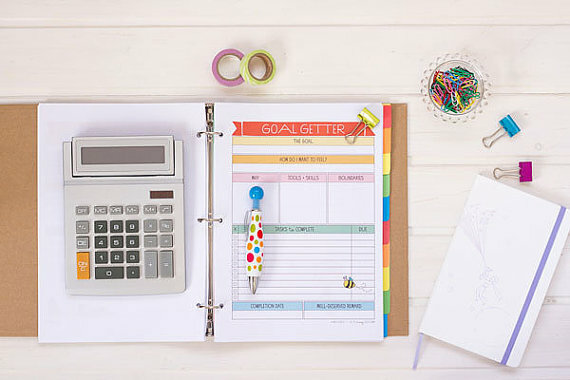 With this planner, you’re in control… and you can truly make it your own. If you know of someone who likes pretty things, pictures and sayings and likes to bring that beauty into their home, then you might like the DIY Gallery Art by MAMBI. All you have to do is provide the frames, place this art inside and mount the frames to your wall to have a very professional-looking wall. Aside from buying the Happy Planner, I have been using my Erin Condren life planner. It has helped me stay on my toes and check off the most amount of to-do items, I think ever. And checking off to-do items is one of my favorite things in the world. During the kick off of the Holiday Season, about a week before Thanksgiving they launch their bundles, which offer planner accessories at a great value. They have bundles that range from $46-$52.00 value for $20.00 and they have one that is $44.50 in value for just $15.00. You can even get a bundle with the Polaroid ZIP Instant Photoprinter at a savings. This year, the bundles will be available from November 20th to November 22nd at 12PM Pacific standard time, but it’s possible that at least part of these savings are extended. If you are interested in saving $10.00 off your first purchase, use this link. Speaking of planners, I highly recommend Leonie Dawson’s planners. They have a cult following. And for good reason. They’re very unique and they allow you to tap into the “i love my wishes but I better take action” part of you. The list of planners that I like wouldn’t be complete without Mayi Carle’s 2016 Life is Messy Planners. They are the perfect planner for someone who has lots of creative ideas floating around in their head and needs a runway to land them on. It’s perfect for creatives, entrepreneurs and people who need more clarity in their life. I absolutely love this planner as it has helped me clear up some mental bandwidth to focus on the task at hand knowing that all processes to execute the ideas that I treasure are jotted down. And there’s a huge power that comes in writing things in an organized way, and being able to check them off. It’s the kind of power that makes you think that you can conquer the world. If you know of someone who needs lots of clarity in their life and the resources to hold themselves accountable to their missions in life, this is the planner for them. If you’re looking for highly-rated, acid-free, archival-quality pens that have their own stand case and that can be used for The Happy Planner, Project Life, Erin Condren Planner, Leonie Dawson 2016 Planner or the 2016 Life Is Messy Planners these are the perfect match. They offer you 20 colors for your enjoyment. If you’re okay with 10 pen colors… then this might be the pack for you. Need I say more? Perfect for the crafty lady in your life. It’s uncommon to find a lady that wouldn’t enjoy some makeup, skin care or perfume for herself. Can’t go wrong. 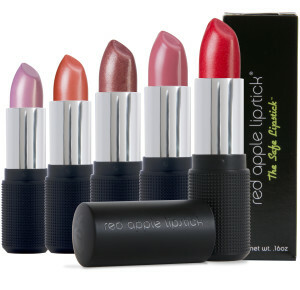 Earlier this year I tried the safe cosmetics from Red Apple Lipstick. I did a review on some of the items that you can read about here. Out of all the items that I tried, meaning eyeshadows, eyeliners, lip balm and lipsticks, the items I recommend the most are lipsticks, especially since it’s a cosmetic so close to our mouth. 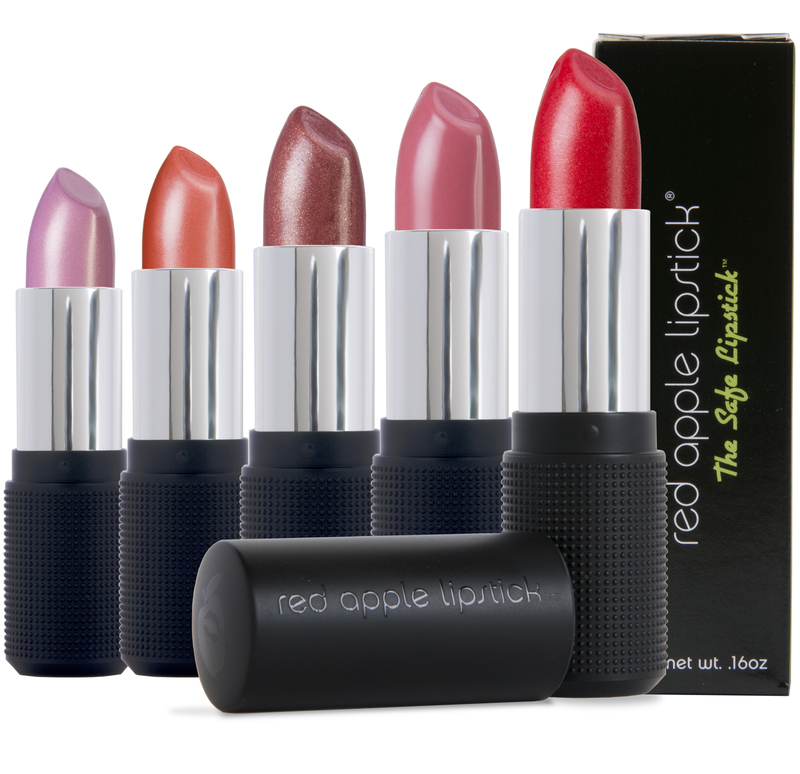 Although the items are more expensive than your traditional cosmetics, it’s great knowing how safe Red Apple Lipstick items are. If you know of someone who is creative, someone who needs to keep their creative juices flowing, who is the scrapbooker, the memorykeeper, the sentimental one, then this is THE PERFECT gift for them. It’s the latest and greatest die-cutting machine that will allow them to enhance their scrapbooking experience and beautify their Project Life creations, planner and home. It’s the perfect time to upgrade. If you recall my series called The Most Loving People Of Our Time Award, the first person who I featured was Mayi Carles. She published her cookbook, sold out of it in 4 months, and is now back in stock just in time for the holiday season. If you want to read what I truly think of this cookbook, be sure to see the review on the link above. P.S. 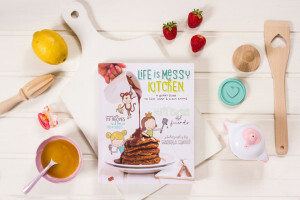 I think even guys would appreciate this cookbook…once they get over how cute it is, but then again, maybe, just maybe, deeeep down, that’s what draws them in. They’ll love creating healthy recipes, that simply taste like delicious food. Money for her to go to the conference, workshop or seminar or buy an online course that she has been wanting (but if she needs to buy the ticket online or make choices that will tailor her experience it’s best if you do give her the money and she does it). In the next post, I will be sharing gift ideas and gift experiences for other members of your family. Do you think that there’s a gift that has been a big hit for the ladies in your life or a gift that pretty much anybody who’s a teenager and up could enjoy? If so, please share it in the comments below. Is Crystal Wash Totally Worth It?